Molly, Julia, and Ysabelle are studying to be teachers. They recently completed creating a project-based learning assignment centered on the Girl Rising curriculum. Below they discuss some of the ways that they believe Girls Rising could be applied in a classroom at the upper middle school and high school level. What grades did you design your Girl Rising project for? We designed our project for either an upper middle school classroom or a high school classroom due to the content we were talking about. What is your goal in bringing Girl Rising into classrooms? Our goal of bringing Girl Rising into our "classroom" is to create a dialogue about gender inequality in both the classroom and in regards to the #MeToo movement. This current event relates to the project because many of the stories shared in the Girls Rising documentary explained instances of sexual abuse that these young girls experienced. For example, the girl from Egypt experienced a horrific and traumatic event resulting in her becoming a victim of sexual assault. The #MeToo Movement raises awareness and supports victims of sexual assault which clearly connects to this documentary. Click here for an update on Yasmin. The information presented in this project could be seen as very mature for students of younger grades. Because of this, this project would be most effective for upper middle school/high school students. If we were to teach to elementary school students, the focus would have to be placed more on education for all, rather than sexual abuse. 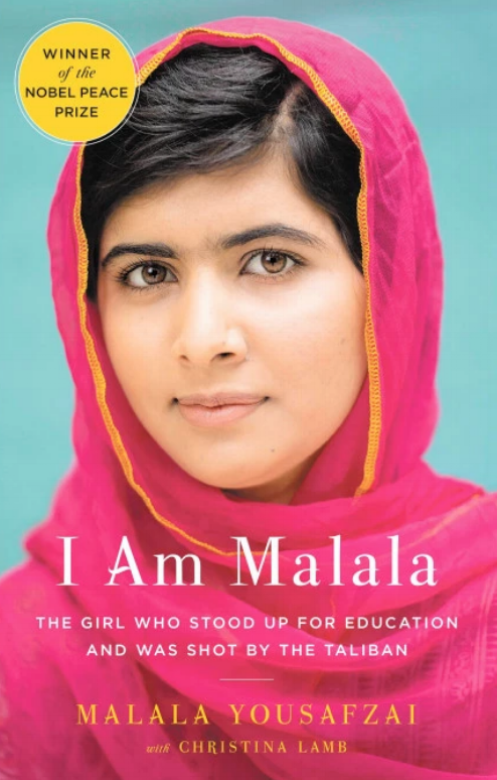 As this topic is discussed in the documentary as well, it would be easy to connect information relating to education for all with relevant texts such as I Am Malala or Words in the Dust. Have students work in groups to create their own documentary or newscast on the topic of either education for all or on supporting victims of sexual abuse. Students would refer to the documentary, personal experiences, as well as outside sources and current events, such as the #MeToo Movement. Doing this would fall under the domain for English Language Arts and Social Studies by allowing students to research and report on the topic. This project could be presented to peers and the outside community. Have students work in groups to come up with presentations in various forms (ie: slam poetry, powerpoint, art pieces, creative writing) that express their thoughts either on the subject of education for all or support for victims of sexual abuse. Students would refer to the documentary, personal experiences, as well as outside sources and current events, such as the #MeToo Movement. Doing this would fall under the domain for English Language Arts and would allow students to creatively express their opinion, experiences with, and support for this topic. This project could be presented to peers and the outside community. What is the suggested timeline for this project? This project would be an isolated unit taught over the course of 2-3 weeks. Did you use any additional resources (articles, apps, videos, books, etc.) while teaching Girl Rising that you would recommend to others? In our project, we recommend using books such as I Am Malala by Christina Lamb and Malala Yousafzai and Words in the Dust by Trent Reedy. Was there a community action component included as part of your Girl Rising unit (i.e. a school-wide or public event or screening, service learning, public art display, fundraising project)? Have students work in groups to come up with presentations in various forms (ie: slam poetry, powerpoint, art pieces, creative writing) that express their thoughts either on the subject of education for all and support for victims of sexual abuse. Students would refer to the documentary, personal experiences, as well as outside sources and current events, such as the #MeToo Movement. Doing this would fall under the domain for English Language Arts and would allow students to creatively express their opinion, experiences with, and support for this topic. This project could be presented to peers and the outside community.